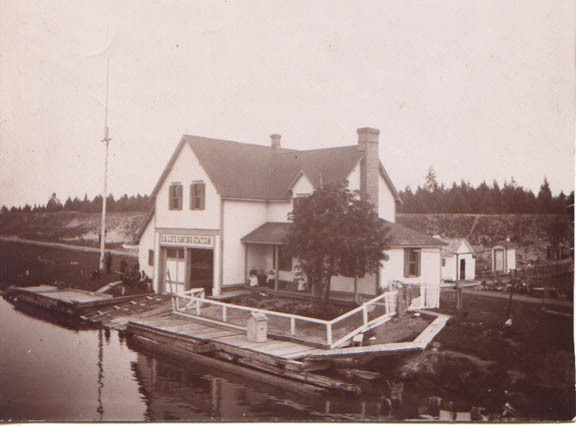 The original Portage Ship Canal Station was built in 1885, three-quarters of a mile down the ship canal on the west bank. This station had no lookout and was too far from the canal to see Lake Superior. 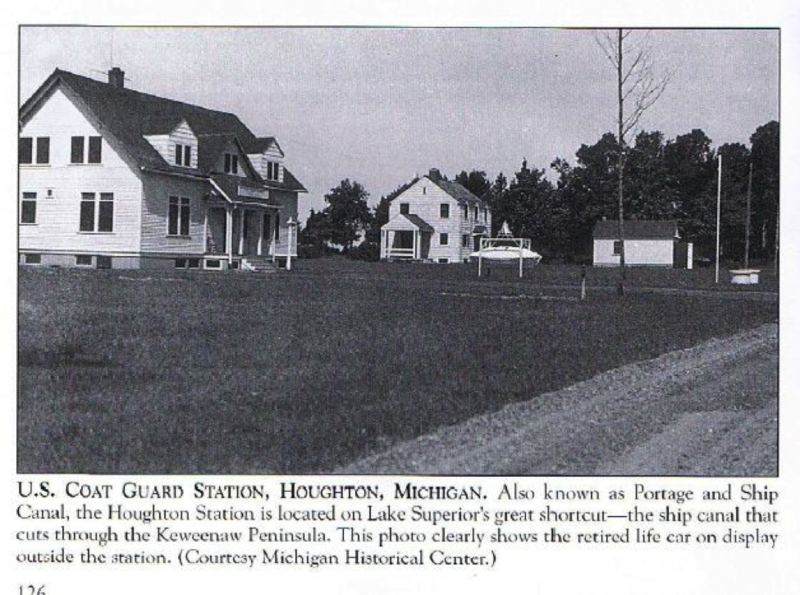 Therefore a second station, Marquette in type and renamed Portage Life-Saving Station, was constructed in 1902 on the east bank at the mouth of the canal. Due to the need to widen the canal, this entire station was moved farther up the canal in 1935, and additional structures were added. 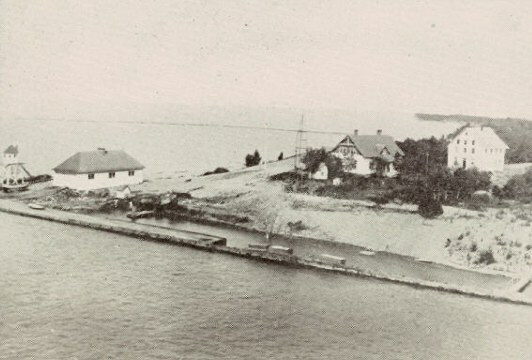 Ultimately, this site was abandoned and a new station temporarily set up at Hancock in 1990, and then finally moved to the current site at Dollar Bay (near Keweenaw Bay) in 1998. 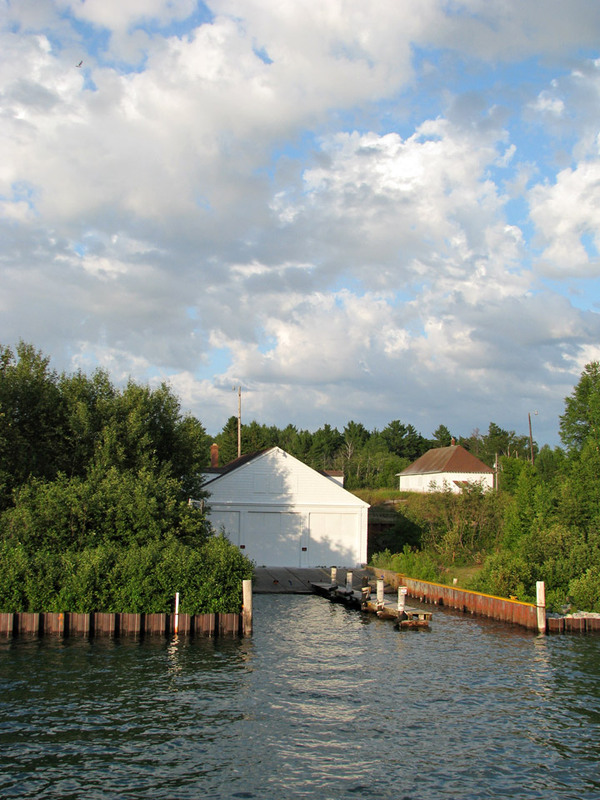 This station consists of the 1902 station house and boathouse, the 1935 station and three-bay boathouse with marine railway system, and another small utility/storage building that appears to date to the Life-Saving Service era. These buildings are on 22 acres of land. The station is currently owned by the Coast Guard and is on the excess list, which means no government funding can be used for it other than emergency repairs and environmental remediation. There is very little to no interior damage on any of the structures. Currently the station sits abandoned with no restoration plans established. There is interest at the state level to acquire the property since it sits adjacent to McLain State Park, but the State of Michigan has no money currently to obtain or maintain it. The state had it in their possession at one time and turned it back over to the Coast Guard. The Coast Guard Civil Engineering Unit in Cleveland is performing a multi-year, phased clean-up project related to the lead soil and paint contamination. The firing range is the largest lead concern remaining. The exterior structures that have lead paint have been painted over to encapsulate it, and giving the structures some protection from the elements. The soil around the buildings has been removed and remediated down one and a half feet to residential approved levels. The Underground Storage Tanks have been cleared environmentally as well. The exterior of all the buildings have plywood covers over all of the windows and doors. In 2010 there was some vandalism to the site. 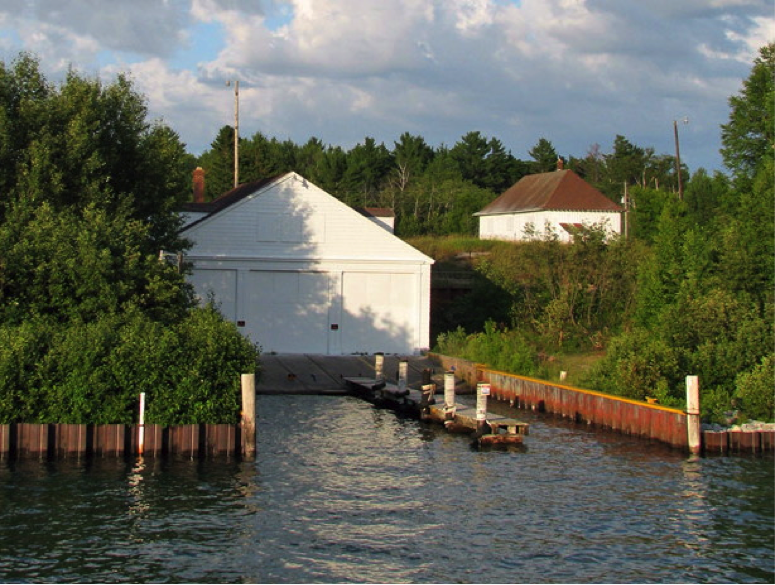 One garage door on the 1935 boathouse was damaged due to high water levels and debris floating down the channel, and has subsequently been repaired. The Coast Guard anticipates ultimately transferring it as long as funding stays available for clean-up. There is minimal deterioration occurring, and vandalism is the current biggest threat. The station does need to be restored, but at least it is sealed up from the elements to prevent rapid deterioration.